Wat Yansangwararam is a well-known temple in the area of Banglamung Mountain. Visitor can see a fascinating view from the temple to Pattaya City. The temple was established in order to celebrate the King of Thailand. 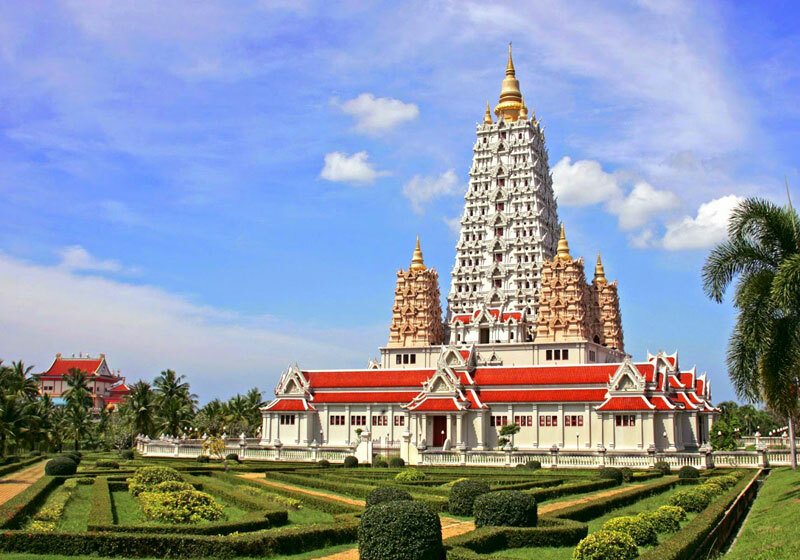 In this attraction, visitor can find a number of fascinating things such as pagodas from mixed Thai-India art style, and so on. Everyday, there are lots of tourists visiting Wat Yansangwararam. Its location is outside of Pattaya city, but it’s not too far to visit. Short Description: Wat Yansangwararam (known locally as Wat Yan) is about a 30 minute drive from central Pattaya. Wat Yansangwararam was built in 1976, and although it is relatively modern it is one of the most significant temples in the Pattaya area because it comes under the patronage of His Majesty The King. The many buildings and gardens of Wat Yan (see photos below) cover an area of approximately 146 acres (approx 366 rai), the temple was dedicated to the Supreme Patriarch Somdet Phra Yanasangwon.